Here is how you can tell that President Obama is not serious about creating jobs for American workers—he did not mention immigration in his much-anticipated speech about jobs. Here is how you can tell the Republican presidential candidates are not serious about creating jobs for American workers—they have not discussed immigration in their proposals or job creation. We were flabbergasted to discover that the 55-page special section in Science on Population (29 July) lacked a discussion of U.S. population growth, its causes and consequences. Such an omission is a complete mystery given that the U.S. has the world’s third largest population and that Science is U.S. based. CAPS ran a TV commercial in markets More legal immigrants settle in California every ual life support, Congress continues to allow throughout California and nationally year than any other state in the country, despite 100,000 to 125,000 legal immigrants and tem-during the Republican Presidential unemployment rates topping 30 percent in porary workers per month to enter the country debate in Simi Valley, making the connection some parts of the state. In fact 13 of the 15 and take jobs despite the American economy between LEGAL immigration and job competi-cities with the highest unemployment in the creating only 100,000 jobs per month or less. tion and displacement in California. Michael Tobias and Bob Gillespie, dedicated environmentalists and populationists, as well as advisory board members for CAPS, spoke at a spring CAPS event in Southern California. Apologists for illegal immigration are fond of claiming that due to the modest life-styles of most illegal aliens, they use far fewer resources and emit much less pollution than typically greedy, gluttonous Americans. Ergo, mounting numbers of unauthorized immigrants and illegal border crossings are not a legitimate environmental concern. 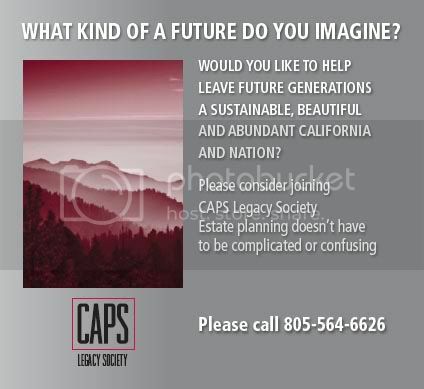 CAPS has launched a statewide college competition for the first California Population Awareness Awards (CAPAs). CAPS created the CAPAs to increase awareness among California college students of the state’s rapid population growth and to encourage them to explore the sources and implications of continuing growth. CAPS Secretary Stuart Hurlbert is leading an important new project. CAPS believes that most scientists, environmentalists and students are woefully ignorant of information on the nature of U.S. population growth and of the clear feasibility of bringing it under control. Arch-conservationist Dave Foreman is neither subtle nor equivocal in identifying human overpopulation as the overriding cause of the Earth’s contemporary biodiversity crisis. CAPS long-term members have told us why they joined CAPS and why their support has continued over the last 20 years. Here is how you can tell that President Obama is not serious about creating jobs for American workers—he did not mention immigration in his much-anticipated speech about jobs. Here is how you can tell the Republican presidential candidates are not serious about creating jobs for American workers—they have not discussed immigration in their proposals for job creation. There is a very simple, cost-free means of reducing unemployment in the United States—quit importing workers to take American jobs. Unemployed Americans, 14 million unemployed Americans, want to know why the federal government has brought in millions of foreign workers during this severe recession. For 26 of the past 29 months, unemployment has exceeded 9 percent. The broader U-6 unemployment rate, a government measure that includes those who have given up looking for work and part-time workers who want full-time work, is over 16 percent. Yet, according to the government’s own figures, the U.S. brings in 1.5 million new workers from other countries each year. Many are surprised to hear that number because discussion about work permits usually involves the much smaller number of H-1B visas, but foreign workers enter on a wide variety of visas. The government issues almost one million new green cards each year, cards that award permanent residency including the right to hold a job. It also issues almost 1 million temporary work permits under a variety of visas, although many of these workers never leave, so the total number of new work permits issued per year is almost 2 million. However, as many as half of the green card recipients were already working here legally on temporary visas, yielding an annual total of about 1.5 million new permits to foreign workers who did not previously have them. Of course, the misery of our current economic calamity is not evenly distributed; it falls disproportionately on our own poor and less educated. 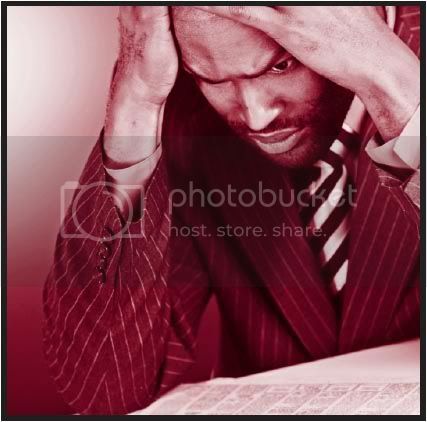 The youth unemployment rate is 18 percent, while the rate for black youth is an atrocious 31 percent. This year, the share of young people employed during summer was the lowest since records began in 1948. According to Andrew Sum, director of the Center for Labor Market Studies at Northeastern University, “Employers have chosen to use new immigrants over native-born workers and have continued to displace large numbers of blue-collar workers and young adults without college degrees.” Sum said the influx has created a domestic labor glut at the bottom of the workforce ladder, depressing wages and enlarging already widening income disparities. The findings are hardly novel. In 1995, the U.S. Commission on Immigration Reform, chaired by Congresswoman Barbara Jordan, called for lower levels of legal immigration, and stated, “Immigrants with relatively low education and skills may compete for jobs and public services with the most vulnerable of Americans, particularly those who are unemployed or underemployed.” A number of politicians on both sides of the aisle have claimed that the U.S. has a shortage of skilled workers in technical fields and that we should make it even easier to import skilled foreigners. Several have proposed that the U.S. “staple a green card” to the diplomas of foreign students who receive a Ph.D. in a STEM field (Science, Technology, Engineering and Mathematics). This raises the question of why we are not investing the resources to train our own work force in technical fields, but, beyond that, it turns out that there is no shortage of technical workers. A recent investigation by the Center for Immigration Studies found that there were more than 2 million unemployed residents of the United States with a bachelor’s or higher STEM degree. Moreover, there are about 10 million Americans with STEM degrees not working in their specialties, many of whom could be lured back to those fields with wage increases or other incentives. Finally, the large majority of foreign Ph.D. recipients already remain in the United States under current law, especially those with STEM degrees. Five years after their 2005 graduation, 72 percent of the foreign computer science students were still here. Obviously, there is no reason to make it easier to expand our very generous system of admitting aliens with technical skills. Congress and the President could easily begin to ratchet down immigration and free up more jobs for American workers. They should eliminate the visa lottery, the most inexcusable feature of our rudderless legal immigration system. Like a clown flinging candy in a parade, the United States annually tosses out 50,000 green cards for no particular purpose to people with no particular qualifications. The SAFE Act, HR 704, would end the visa lottery and provide some relief and hope to our unemployed workers. Another important step would be to mandate the E-Verify program for all employers so that jobs would go to legal workers. The Legal Workforce Act, HR 2885 would take this sensible step and also re-implement no-match letters for fraudulent Social Security numbers, helping free up the 7 million non-agricultural jobs currently held by illegal aliens. Clearly, during this time of economic malaise, the national interest requires that we limit immigration and provide jobs to unemployed Americans. In addition to discussion of various countries around the world whose populations and environmental impacts are far less than that of the USA, the special section included substantial reviews of the situation in India and, also, in China. These reviews show that, since 1990, China’s population has increased by about 200 million persons and India’s by about twice that amount. Yet when per capita environmental impact is also considered (as measured by energy/resource use and carbon footprints), the 60 million persons added to the U.S. population during the same time period were more important than either the Chinese or Indian additions; indeed, environmentally speaking, U.S. population growth was the most damaging in the entire world. U.S. population growth has many negative environmental impacts in addition to increases in anthropogenic atmospheric carbon. As just one example, in our home state of California, endless rapid population growth is degrading the quality of life for most people and robbing wildlife of habitat it has occupied for millennia. More generally, population growth in the USA and worldwide represents a glaring example of intergenerational and interspecies injustice. For many decades the USA has needed a population policy. As emeriti, we three are each old enough to have seen U.S. population more than double in our lifetimes. The cause of this increase when we were young was primarily the high fertility of U.S. born women. In recent decades population increase has been due mostly to immigration and the U.S. born children of immigrant women. Whatever the causes, Congress should implement a national population policy so that Americans being born today, when they reach our age, do not see a U.S. population approaching a billion persons. In 1972 the distinguished Rockefeller Commission on Population Growth and the American Future noted that they could see no “substantial benefits” from further increases in the U.S. population. Now, more than 100 million additional Americans later, the same is true, only more so than ever. CAPS ran a TV commercial in markets throughout California and nationally during the Republican Presidential debate in Simi Valley, making the connection between LEGAL immigration and job competition and displacement in California. We made the point that our government is admitting more new, legal immigrants every month than the number of new jobs our economy is creating. CAPS TV ad calling for less legal immigration to open more jobs for Americans seen by more than 5 million people More legal immigrants settle in California every year than any other state in the country, despite unemployment rates topping 30 percent in some parts of the state. In fact 13 of the 15 cities with the highest unemployment in the country are in California. California actually has more unemployed than the entire population of neighboring state, New Mexico. Yet with more than 2 million Californians unable to find a job and the state’s economy on perpetual life support, Congress continues to allow 100,000 to 125,000 legal immigrants and temporary workers per month to enter the country and take jobs despite the American economy creating only 100,000 jobs per month or less. Recent studies by the Pew Hispanic Center and Northeastern University indicate that new immigrants are landing American jobs while Americans are losing jobs. An ecologist and mountaineer with more than 40 books and 100 films to his credit, Tobias collaborates on projects with Jane Gray Morrison, his wife. Together, their interdisciplinary work focuses on environmental, cultural, social and scientific issues. The work has taken Tobias to some 80 countries and given him both a micro and macro view of the state of the Earth. “We are blessed here in the state that, like the rest of the planet, is teaming with a biocultural heritage,” said Tobias. “But we have more than 360 species that are listed federally—between plant and animal species—that are endangered in this state. The state of the planet as described by Tobias is grim and the “pain points” high. “This planet is far more diverse with respect to biological differentiation than we ever imagined, and the stakes have never been higher in terms of habitat fragmentation, habitat loss, poaching, killing of wildlife and agriculture, principally driven by meat-eating throughout the world. “The planet herself is losing more than she’s gaining. We love to look at the good news; we love it when we see a new species discovered somewhere, and it boosts our optimism for a few seconds. The reality is quite contrary to that. The losses are mounting at a level that we cannot quite grapple in our own minds,” continued Tobias. Tobias sees few examples of good sustainability models, pointing only to San Marino, Andorra, New Zealand, Denmark, Bhutan and Suriname. So the problems seem obvious, but are there solutions? Tobias suggests two paths individuals can choose. First, adopt an approach of nonviolence, which he says can be interpreted in one’s own way—“in every gesture, every decision, every act that you’re capable of. Second, he says to consider children. For those who have children, he suggests being thoughtful in offering guidance to those in child-bearing years. For those of child-bearing age, before choosing to have another, consider the number of orphans in the world. Tobias also talked about the need to politically agitate on the overpopulation issue, noting that those who choose to have more than a sustainable number of children should perhaps be taxed more. “We cannot sustain the current modus operandi,” concluded Tobias. When biologists, evolutionists and demographers are asked what would be a sustainable population for the planet, Tobias said the numbers vary, ranging from a few hundred million to 1.5 billion—if we were all vegetarian or vegan. Bob Gillespie, president of Population Communication and director of the Gillespie Foundation, was one of the founders of ZPG in 1968 and later the Federation for Immigration Reform. For nearly five decades, he has worked throughout the world on population policies and family planning programs. Gillespie opened his discussion with a story that had just broken with new global population estimates. “The 10 billion figure is extremely optimistic,” he said. “It’s assuming that everybody in Africa is going to start having two children tomorrow. Millions of people are searching for a better life, but with the sheer momentum of the rapidly building numbers, there are challenging issues of how to maintain quality of life, Gillespie said. In countries in Africa, Asia and Latin America, where Gillespie does most of his work, he said leadership is astounded by the momentum aspect. For the U.S., Gillespie said it’s important to identify where each of us can try to make a difference and to look at where fundamental reform needs to happen and what can be addressed through legislation. “We are creating burdens for which there is no capacity here in the United States to sustain,” said Gillespie. Apologists for illegal immigration are fond of claiming that due to the modest lifestyles of most illegal aliens, they use far fewer resources and emit much less pollution than typically greedy, gluttonous Americans. Ergo, mounting numbers of unauthorized immigrants and illegal border crossings are not a legitimate environmental concern. Furthermore, anyone expressing such concern is really just disguising their own despicable xenophobia and racism. In this perverse caricature, while the obese American drives two blocks in his gas-guzzling SUV from his “McMansion” to a McDonalds to scarf down his Big Macs and supersized, greasy fries, the humble but enlightened immigrant commutes by bus to his simple abode and dines on a diet low in meat and high in healthy vegetables and grains, from local organic sources of course. However, the apologists and their complicit allies in the Environmental Establishment callously look the other way when confronted with the reality of how massive, unbridled illegal immigration is trashing the Great American Desert. According to veteran conservationist Dave Foreman, the iconic Southwestern writer Edward Abbey (the late author of Desert Solitaire and The Monkey Wrench Gang, among other works) considered the vast and once-remote Cabeza Prieta National Refuge his favorite place. Cabeza Prieta boasts the largest Congressionally-designated Wilderness Area in the Southwest (803,000 acres) and also furnishes a home and habitat to the Sonoran pronghorn antelope—one of the rarest land mammals in North America. But this “desert rat’s paradise” has become, in Foreman’s words, “a great Wilderness wrecked.” Cabeza Prieta Refuge staff recently released a report (http://azwild.org/action/ CabezaPrieta_2011July.pdf) documenting the far-reaching impacts of unchecked illegal immigration and drug smuggling, and how Border Patrol is trying to stem the activity. 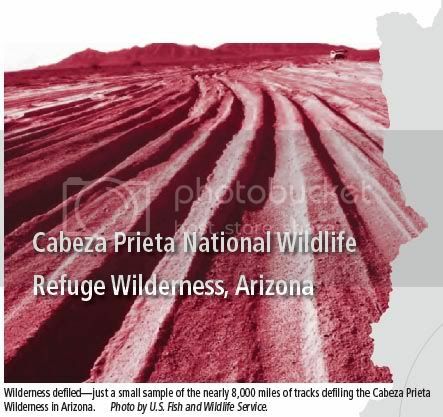 In one of the most stunning revelations of the report, distributed by the Arizona Wilderness Coalition (AWC), “a conservative estimate of routes in the wilderness—a place where roads are prohibited—turned up 8,000 miles of tracks and thoroughfares across the desert.” Eight thousand miles of vehicular tracks where vehicles are prohibited! The frequent use of mechanized transport associated with illegal smuggling activities and interdiction efforts precludes opportunities for solitude. Furthermore, the amount of damage from off-road activities may be significantly impacting the natural quality of wilderness character by such means as altering hydrological process, affecting plant distribution, impacts to wildlife inhabiting tunnels and dens below the surface, and disrupting habitat use of wildlife where high intensity traffic areas may be avoided due to the frequent presence of humans and vehicles. The AWC is contributing to ongoing interagency and NGO dialogue and even hopes to lure volunteers to the lawless borderlands to begin restoration efforts, which is all well and good. But in all likelihood the malevolent forces trafficking in illicit drugs, contraband, and hapless human beings—forces to whom “wilderness” is nothing but desert wasteland to be trampled and trashed en route to their loot—will continue to prevail unless America’s addiction to illegal immigrant labor and illegal drugs can be treated more systematically. Cabeza Prieta National Wildlife Refuge Wilderness. Roads in Cabeza Prieta NWR (lines are roads and other travelways). Source: U.S. Fish and Wildlife Service and Arizona Wilderness Coalition. learning—or have friends who do—you’ll want to read this! In the 60s and 70s there was heightened awareness of the problem of overpopulation, helped by the ZPG movement and Paul Ehrlich’s seminal “Population Bomb.” That awareness isn’t at the same level today, particularly with youth. While the youth demographic is highly attuned to environmental issues, the connection isn’t made to how overpopulation and rapid population growth are intricately linked to environmental issues, negatively impacting virtually every aspect of life. To enter the CAPAs competition, students in California colleges, universities and career-based schools may submit an original short video or radio spot, write an Op-Ed, or design a Facebook initiative or Twitter campaign that focuses on the causes of overpopulation in California and its effects on the environment, wildlife and quality of human life and the future, and the benefits that a sustainable population would bring. Available prizes total $12,500. Additionally, the first 100 qualified entries will be entered in a random drawing for an iPad 2 (three will be given away). Find all the program information at capaawards.com. Awards deadline is January 31, 2012. Note: CAPS employees and members of CAPS Board of Directors, as well as vendors and agents for CAPS and their employees, along with immediate family of all the aforementioned, are ineligible to participate. Arch-conservationist Dave Foreman is neither subtle nor equivocal in identifying human overpopulation as the overriding cause of the Earth’s contemporary biodiversity crisis. Even the hard-hitting title of Foreman’s new book—Man Swarm and the Killing of Wildlife— leaves no doubt that our population explosion is causing the “greatest mass extinction since the dinosaurs became extinct” 65 million years ago. The upshot of Man Swarm is that the explosive growth in the number of human beings over the last couple of centuries has amounted to a veritable assault on wildlife. Foreman doesn’t claim that overpopulation is the only factor in the decimation of wildlife across the globe. Rather, he cites the I=PAT formulation of biologist Paul Ehrlich and physicist John Holdren. I=PAT means environmental Impact (I) equals Population (P) times Affluence (A) times Technology (T). Thus, Foreman concurs with Ehrlich and Holdren that affluence and technology (sometimes lumped together as “consumption”) also share the blame. However, Foreman clearly believes population is first among equals. As he puts it, “Population is the big dog in I=PAT.” This may be especially true when it comes to wildlife. The impacts of affluence and technology on biodiversity are mixed; not so population. In essence, increasing numbers of humans means decreasing numbers and diversity of wildlife; we are co-opting or seizing ever more of the planet’s assets and displacing our fellow non-human earthlings in the process. In the U.S., it is impossible to grapple with the overpopulation problem unless one grasps the nettle of immigration, or “bugbear of immigration,” in Foreman’s words. 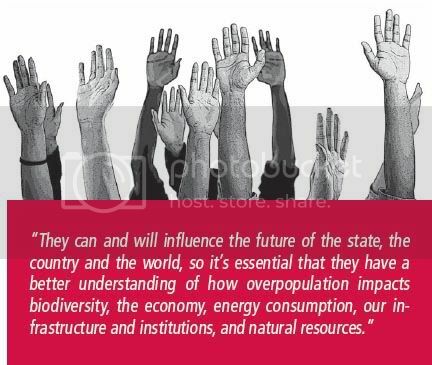 Unfortunately, most of those environmentalists who actually do acknowledge population growth as a serious problem (and not all do by a longshot!) display all the intrepidness of the proverbial deer in the headlights when it comes to acknowledging and addressing immigration. Not so Dave Foreman. Man Swarm will convince you more than ever that this is the good fight, and one we have to win because the alternative is simply unthinkable. What is left of the wild world is depending on us. CAPS Secretary Stuart Hurlbert is leading an important new project. CAPS believes that most scientists, environmentalists and students are woefully ignorant of information on the nature of U.S. population growth and of the clear feasibility of bringing it under control. Many of their organizations are ideologically indisposed to even allow discussion of the issues, immigration in particular. We plan to go into the lion’s den, so to speak, by having CAPS set up an exhibitor’s booth at the generally week-long annual meetings of three different scientific societies in 2012. The booths will be manned by senior persons knowledgeable on immigration-population-environment issues and have large amounts of free literature (articles, op-eds, position pieces) available for free distribution, a display of books on population, immigration and related issues, and other materials. As no population-focused organization has ever done this before and as most scientists regard the issues as important, we anticipate the booths will attract much attention and have a variety of positive impacts. Additionally, for one of the meetings (Ecological Society of America) we will have submitted a proposal to organize and present a special half-day session of speakers at the meeting on population-environment issues in the U.S. I believe citizens should be provided with an environment that is attractive and provides resources for productive and enjoyable living. Ever-increasing population severely restricts these conditions and places excessive financial stress on taxpayers. The work of CAPS strongly limits damaging population increase. Out-of-control immigration has caused incalculable harm to California. With a political environment that is in denial, CAPS is one of the primary voices to express concern and change policy. I had the opportunity to meet Dr. Garrett Hardin at a CAPS meeting in the early 1990s. We became friends. 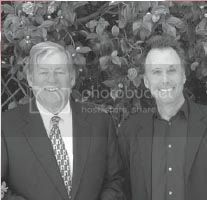 He was a great inspiration to me as well as an avid supporter of CAPS and its work on population in California. The problem of immigration both legal and illegal should be handled wisely by the federal government. Unfortunately, neither the elected representatives nor the Washington bureaucracy they support show any wisdom relative to population growth. Cheap labor and new voters trump the negative effects of rapid population growth in an already developed country. I support CAPS as a strong regional oice representing a state that is drastically affected by the growth of poor, uneducated, entry level workers and their dependents.